Hundreds of children have been taken from their parents. Many Americans have expressed outrage at horrific accounts of parents who have arrived at the border to escape violence and poverty only to have their children, some of them toddlers, taken away from them. This is not the only example of cruelty in our immigration system to come to light recently: last week, a border agent shot and killed Claudia Patricia Gómez González, a woman from Guatemala attempting to immigrate to the United States. Meanwhile, the ACLU released a report that alleges a pattern of widespread abuse of immigrant children by US Customs and Border Protection officials during the Obama administration. This week’s Take Action Now focuses on what you can do to fight back against cruel immigration policies that are only getting worse under the Trump administration. Use ActBlue’s page to donate to groups helping kids and their families who are immigrating to the United States. The organizations include Kids in Need of Defense (KIND), which helps children who arrive by themselves, and La Unión Del Pueblo Entero, a community organization in the Rio Grande Valley. Call your elected officials to demand an end to the horrific practice of separating families (you can reach Congress at 202-224-3121). Be specific: With a story of immigration authorities unable to locate 1,500 children also making the rounds, immigrant rights advocates are cautioning against well-meaning demands that could lead to more surveillance of immigrant families. The National Domestic Workers Alliance and the ACLU have petitions and 5 Calls has a script that you can use. 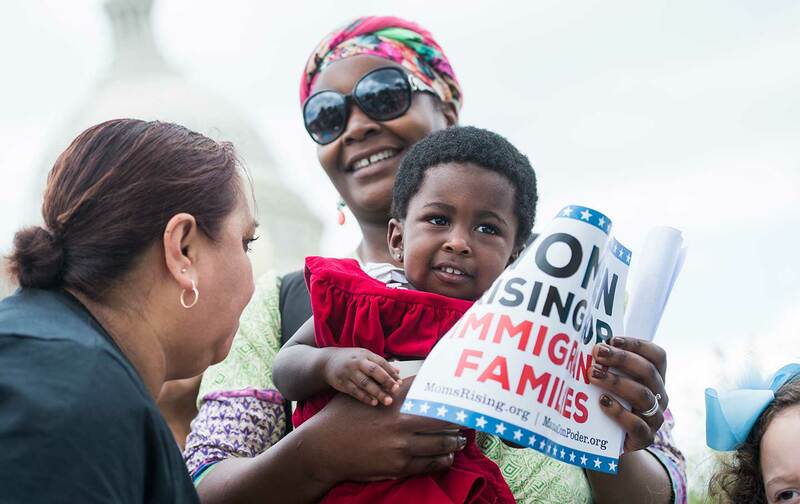 Groups including the National Domestic Workers Alliance, the ACLU, MoveOn, and United We Dream have come together to organize a Day of Action for Children this Friday, June 1. Look for events near you using the map here (it will be updated throughout the week) or use the hashtag #FamiliesBelongTogether to find them on social media. You can also use this link to sign up to host your own event.